Step 1: We need to check your/your loved one's insurance to see how much of the device's cost will be covered by insurance. 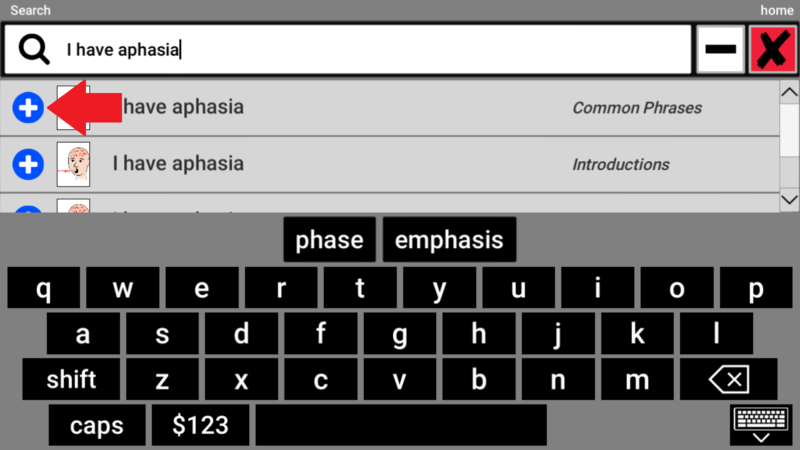 You can begin that process by submitting an eligibility check: https://benefits.aphasia.com/external-caregiver-benefit-check/. This information gets submitted right to our Client Advocate team, who will use the insurance information on the form to see what the coverage will be for the device. Step 2: Once we complete the insurance eligibility check and confirm that you/your loved one is working with a speech therapist, then a free, 4-6 week trial with our device will begin. 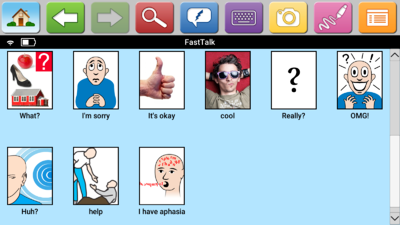 The speech therapist will explain how to use the device and will determine if it will be a good fit for the user. 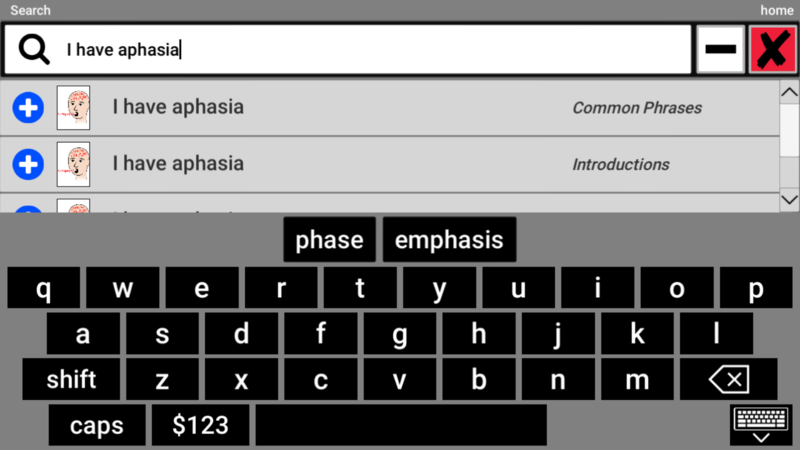 Step 3: After the trial is completed and the device has been approved by both the speech therapist and the user, we will then finalize paperwork, which will turn initiate a sale device that the user will keep as his/her own. Step 4: Once all the paperwork has been submitted, we will customize the device and ship it to the user's home. 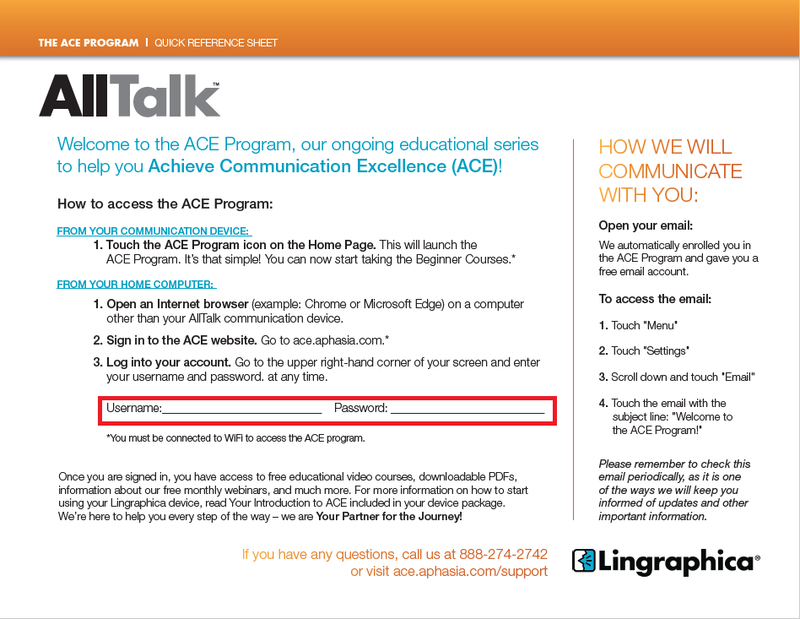 On the backside of the sheet, there is a section which has the login information to access the ACE website and begin the training courses. If you can't find this sheet, you can call us at 888-274-2742, and someone from our tech support team would be happy to help! A. Excellent question, Samantha! 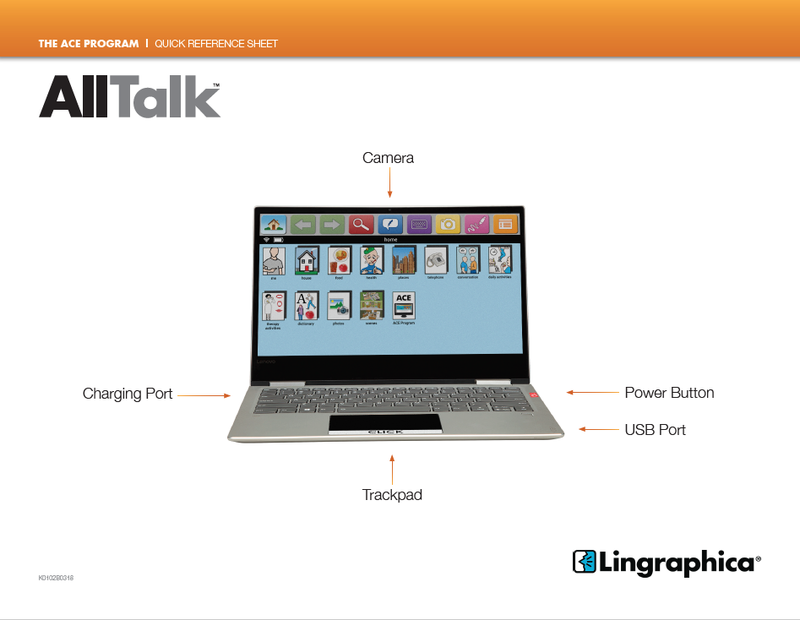 You are able to add icons to the FastTalk section of our devices. I've listed the steps below. 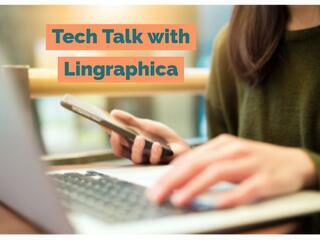 If you are still having issues, please feel free to give our tech support team a call at 888-274-2742. Step 1: Click on the blue "FastTalk" icon in the button bar. 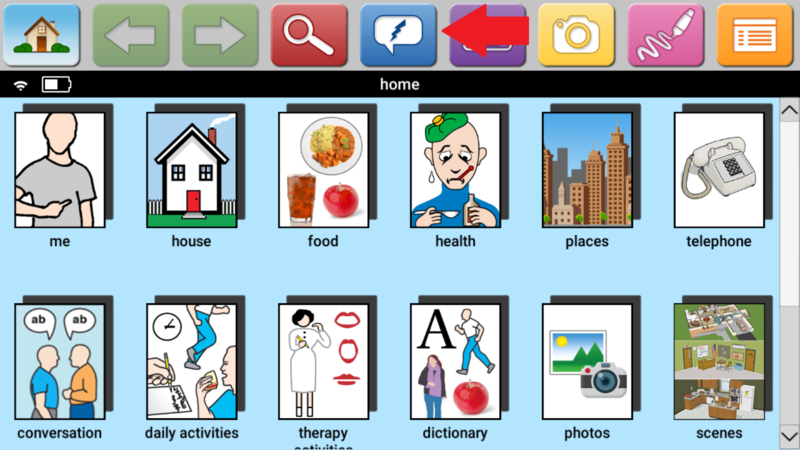 Step 2: Select the red icon along the top button bar that has the magnifying glass on it. This is the Search function. Step 3: Type the name of the icon you're trying to find. 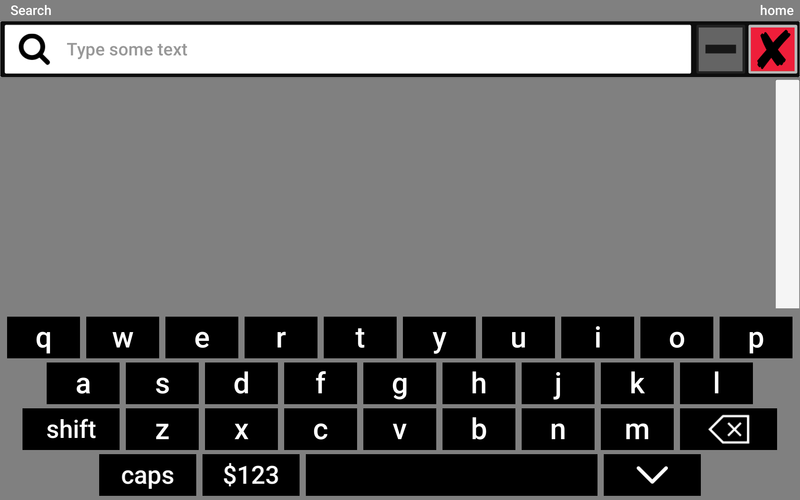 As you begin to type, icons will begin to appear that match the text in the search bar. After you click the blue plus sign, you will see your new icon appear on the FastTalk Page.